Today while I was at the park with my kids, we crossed paths with a mom in a double stroller with two tiny babies in their car seats. The babies were so small but having experience with twin preemies, I thought they were a few months old. Turns out I was right, the twins were 11 weeks old born early at 32 weeks. I ended up spending about an hour talking to their mom while my kids played. She was desperate to get out of the house and talk to a real person, which is a situation that I can remember all too well. As we talked, I looked at her babies and then over at my gigantic 30 week preemie twins in total shock that they were actually this small once upon a time. Actually they were much smaller since these two cuties had 11 weeks to fatten themselves up. Were these kids really once 3 pounds? A funny thing happened as we were talking about her experience in the NICU and at home with two babies, I was instantly transported back in time to when my twins were infants. Now full disclosure, there are many things that I don't remember about the first few months of my twins life. But the fears and uncertainty remain with me to this day. I wish I could forget them, but I can't. 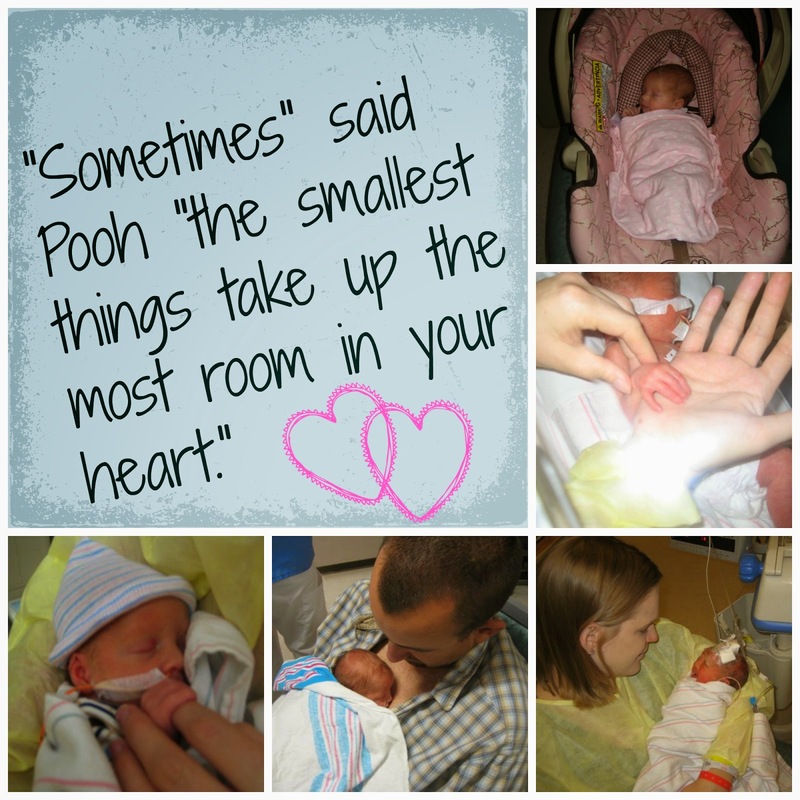 Even 4.5 years later I remember the pain I felt leaving them each day at the NICU. I also remember the relief I felt once they were ready to come home. It was so great having my babies at home even though it meant I was on my own. And I remember taking them to the park so their big sister could play just so I could get out of the house. Even though it took 45 minutes to get out the door back then. It's funny how a conversation can bring back memories you thought you forgot. I think there are just some experience that you cannot leave behind, they change you forever. It was fun talking with the new twin mommy, we had an instant bond. Plus, it was a reminder of how far we've come and how much easier my life is these days. While it's not easy, it is easier! I don't miss bottles, diapers, and children who depend on me for everything. I really don't miss feeling like I'm drowning taking care of three kids under the age of 2. But I do miss having these little cuties to snuggle with and love on. Oh, how sweet! Sounds like you and that mom might live close. Hope you got her number so you can keep in touch. It's so important to have other mothers who understand. Right? :) By the way, your kids are adorable and the baby pictures are precious. Thank you! We did exchange numbers, I remember being so overwhelmed in the beginning and leaning on other moms with twins for help.